Sometimes with roses, it's more about the fragrance than it is about the looks. And with Fragrant Cloud Tea Rose, this is true. While it is a pretty rose, with its deep, coral-orange well-formed 5-6 in. blooms, no one would argue that the scent is unforgettable—hints of clove with a sweet, spicy, strong rose perfume that will waft through your garden all summer long. 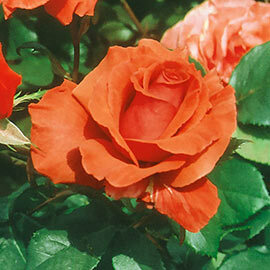 Fully double blooms with 24 petals are striking against the glossy, dark green foliage. Lots of butterflies will visit this flower, so plant it where you can admire them. Fragrant Cloud is perfect for the landscape or container plantings. Also makes great cut flowers, too. For each offer ordered, get No. 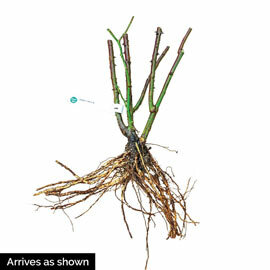 1 bareroot.